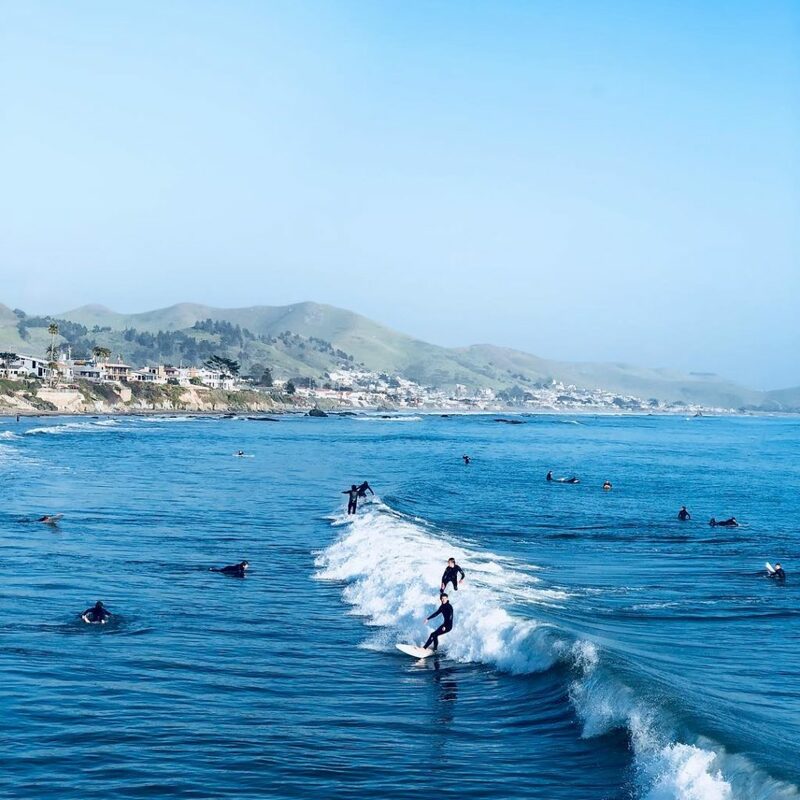 Surf’s up in San Luis Obispo with a wide variety of local surf spots available for all skill levels. Cal Poly was even placed in the top three of the “10 best surf schools in America” by Surfline.com. 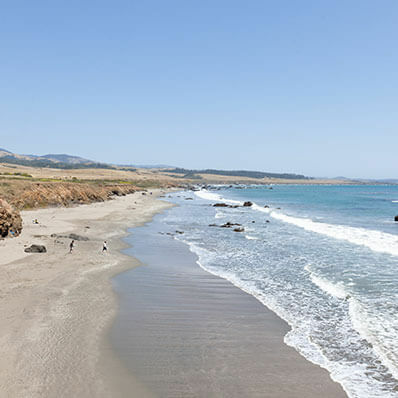 100 miles of coastline lure new and pro surfers alike, offering a spectrum of San Luis Obispo surfing locations from sheltered, craggy coves like St. Anne’s and Reef Rights in Shell Beach to sprawling beach breaks near the piers in Cayucos and Morro Bay. 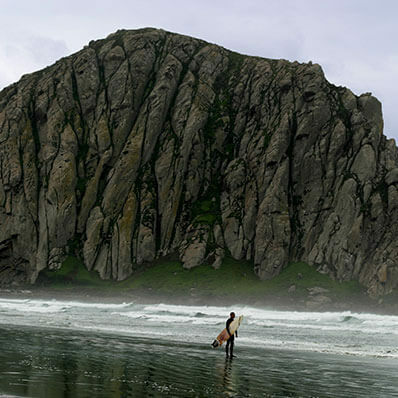 Seasoned surfers challenge themselves to the adrenaline-pumping waves in San Simeon, Morro Bay, and Montaña de Oro in the north and Oceano in the south. Just getting your feet wet? Head to one of the surf shops nearby for board rentals, surf camps, surfing lessons, or local insight on the best places to paddle out. To ensure a great ride, surfers should consider wind conditions and tides when selecting a surf spot. Generally, mornings are the best time to surf, prior to the wind picking up around midday. The water temperature typically oscillates between 52-59°F, so be prepared to wear a wetsuit year-round. To best prepare for your session, click here for SLO County’s surf report. Pismo Beach offers a variety of surfing spots, although the pier is the most popular area with a good break at high tide and the best swell direction. This iconic beach has a spot for riders of all levels. 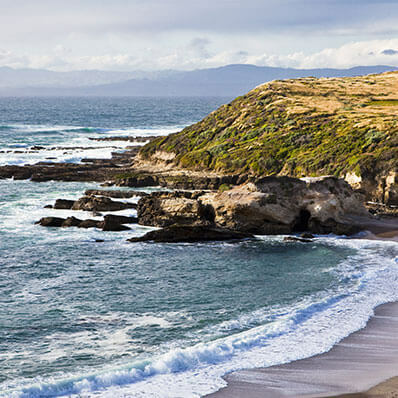 The Central Coast has some of California’s premier, local surf shops. All the retail stores listed below are worth visiting and will be able to take care of all your action sport’s needs. 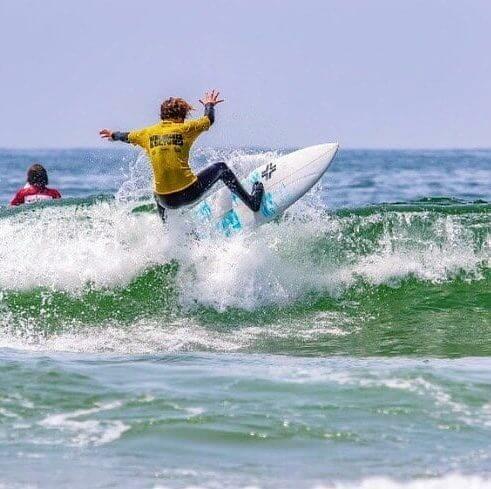 Looking for surfing lessons on your California beach vacation? There are many surf schools right here on the Central Coast that will get you out on the water and riding a wave in no time.